Curls are always in fashion and even more so today. Luckily there are many different hair styling tools to help achieve whatever curl you want, from Hollywood curls to beach waves or tight, bubble ringlets. Rather than using an old-fashioned hair dryer along with curling brushes or sitting in rollers for hours on end, today’s technology is so far advanced all it takes is a little practice and the right hair styling tool to create stunning looking salon-professional curls. Why you should try an automatic hair curler? How to use an automatic hair curler? 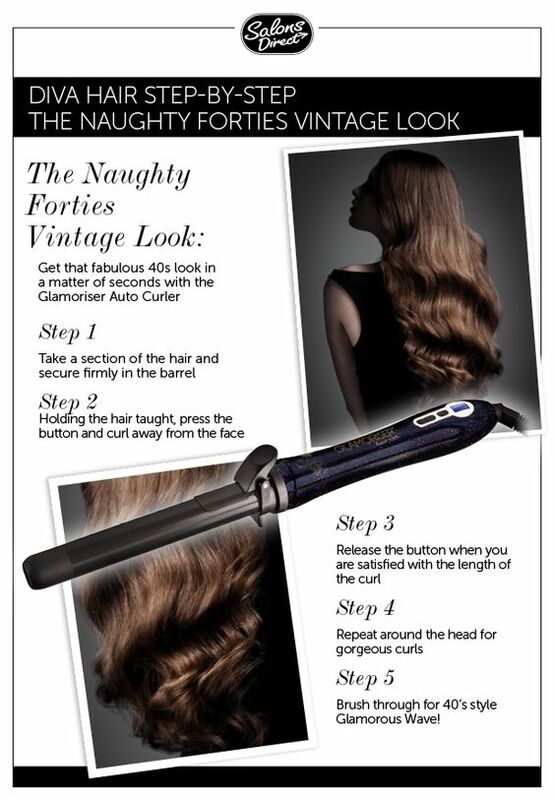 How to use the Diva automatic hair curler? In my opinion, the best way to achieve hairdresser standard curls is to use the new automatic hair curlers. 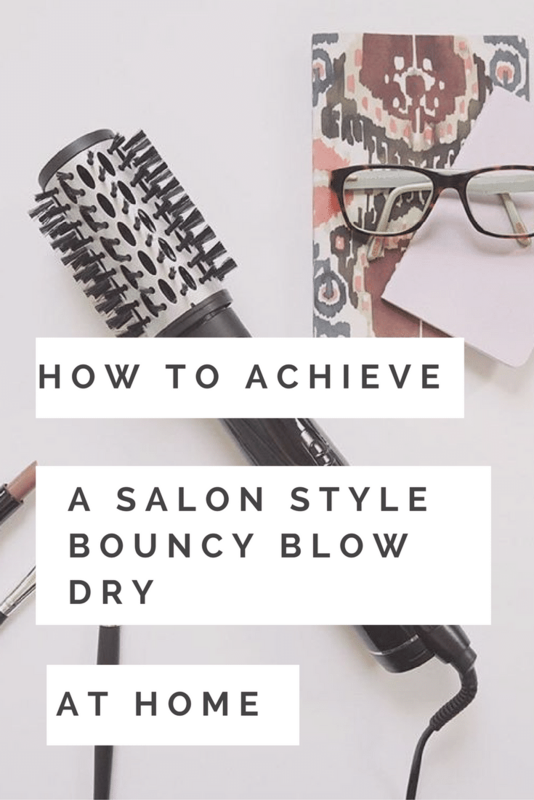 I’ve tried and tested various different styling tools, from a hair dryer to setting my hair in rollers, curling wands, curling irons and even curling using hair straighteners. Nothing beats the new automatic hair curlers and they are easy to use once you get to grips with them, doing most of the work for you. If you want to buy a very good automatic hair curler just go online to Amazon.co.uk. 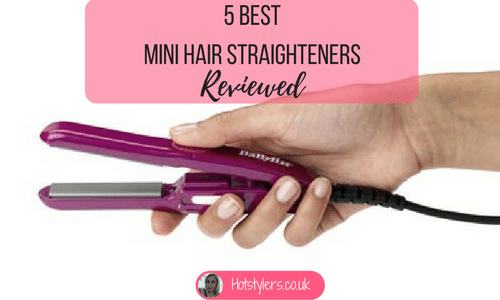 This is my go-to for all my hair styling products and tools because it’s far cheaper than buying on the high street and I like to look at what other people have to say about each product. The customer reviews are generally very good. The Diva Glamoriser is on the expensive side, but it boasts variable heat settings from just 80 Deg C to 210 Deg C meaning if you use it properly you won’t burn your hair. Always keep it on a low setting if you have fine hair and never use it on a very hot setting unless you are sure your hair can cope with the heat. Many people make the mistake of automatically using hair styling tools on extra high; this is when damage and breakage occurs. The Diva comes with a heat resistant storage bag and a glove plus it has the added benefit of auto-shut off so there’s no risk of overheating. 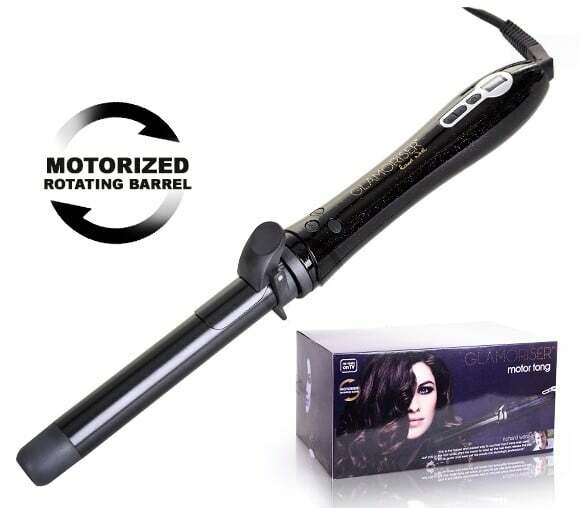 It looks very much like a curling wand but it has a motorised rotating barrel. To achieve your curls, you must have dry hair first. I would advise using a very good heat protecting spray and sectioning out hair so that you can concentrate on each area. Start at the back. Heat up the Diva Glamoriser and wait until the temperature is at your desired setting. Use about 2cm of hair at a time and put the base of your hair into the tong clip. Hold the hair tightly from your head and press the motorised button which will curl up your hair. Follow it as high as you want the curl to go always maintaining a taut hold on the hair section. When you want the barrel to stop rotating, just release the motorised switch. Hold the barrel in your hair for a few seconds and then use the second release mechanism which dispenses the curl. Here’s a good tip, always use the right hand side button when doing the left hand side of your hair and the left hand side button for the other side. To create different curls, just use a smaller section for a ringlet curl and a wider section for a looser curl or for creating tousled waves. It does take some getting used to but I believe this product creates a far superior curl to other curling tools available today. The second product I recommend is the InStyler Tulip Auto curler and this one definitely takes some practice but as the saying goes, practice makes perfect so if you can persevere you will create awesome looking curls. It’s not a cheap hair styler and retails at a discount on Amazon.co.uk but it’s very clever and definitely brings a new breed of curling machines. 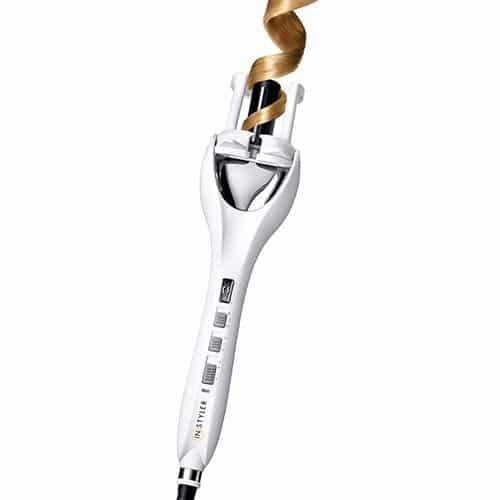 It features two way curl rotation which is motorised so it curls to the left and to the right giving an even looking head of curls rather than curls all going in one direction. 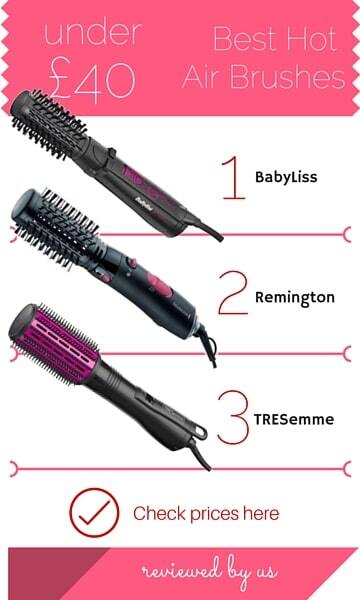 It has three rotation settings, three timer settings and three heat settings so you do get exactly the curl you want, in three seconds! 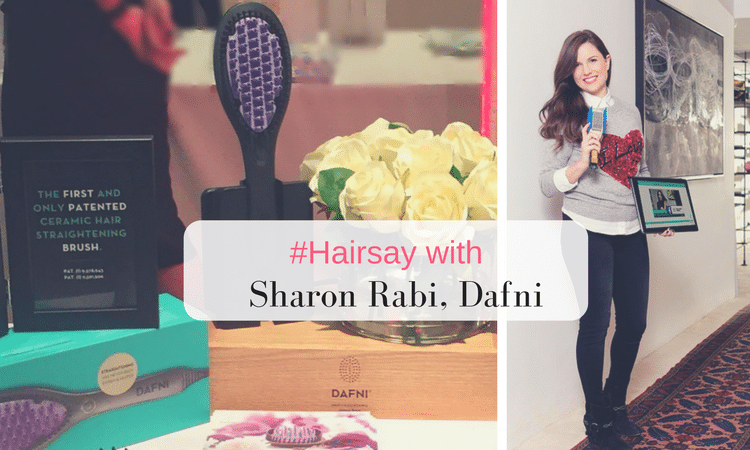 It sounds easy to use (but it takes time to get to grips with it) simply turn it on, insert dry hair (hair must be dry), press a button and the machine does it all for you, even releasing the curl when it’s ready. It takes approximately 25 minutes to do a full head of medium thickness shoulder length hair so it isn’t as fast as a curling wand. Follow the manufacturer’s instructions because it does warn you not to place too much hair into the barrel. If you pay attention to the instructions, the result is fantastic plus the curls seem to last and last. The problem with inserting too much hair at once is running the risk of getting hair trapped. One of the huge advantages is that the heat is kept inside the barrel so there’s no risk of burning your head or your neck and inside there’s a special anti-tangle technology. Using this you get glossy and shiny hair with absolutely no frizz or static. Like I said, once you know how to use this automatic hair curler you won’t want to use anything else! Unfortunately when you check the reviews on Amazon.co.uk you’ll see it has mixed response (it rates 3.7 out of 5 stars with 15 consumer reviews) but mainly I believe this is because people don’t devote time to understanding how to operate the Tulip Auto Curler. Once you know what to do, it’s a very good product.